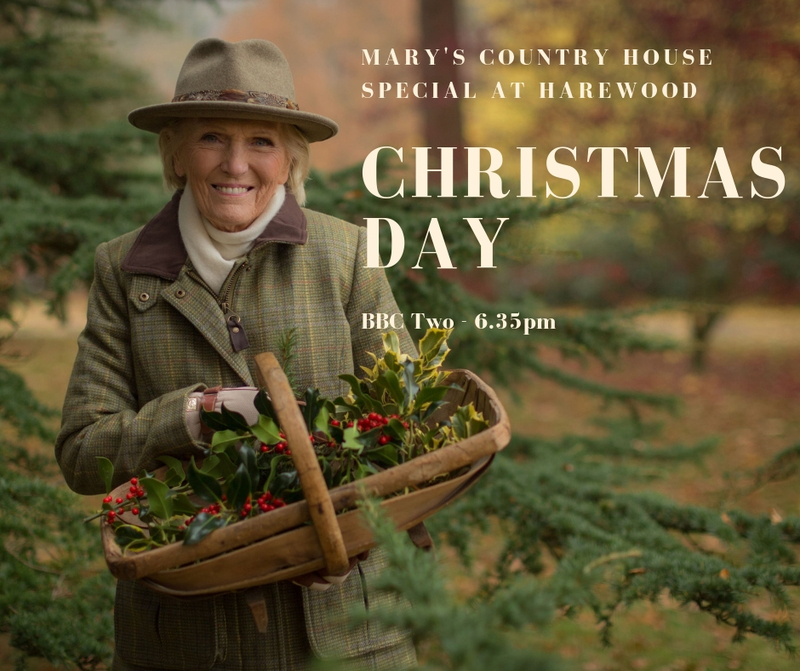 Christmas just got an extra sparkle as we reveal ‘Mary Berry’s Country House at Christmas’ was filmed here. The one-hour programme, which will air on BBC Two in December, is one of the highlights of the BBC’s Christmas season. It features stories from across Harewood, including tales from the House and gardens and the focus of this year’s 1929 Christmas Eve story. The traditions from past and present are woven together with scenes of Mary cooking in the copper-pan adorned Below Stairs kitchen, with recipes including traditional Twelfth Cake and Yorkshire Pie. The crew filmed for two weeks at the beginning of November when Harewood was closed to the public. Stories expected to be featured across the episode range from the Walled Garden to the Private Apartments and incorporate some of the talented and generous Harewood volunteers spending time with Mary whilst they make wreaths for the House and decorate gingerbread that will play a role in the setting for visitors. David Lascelles, Earl of Harewood and Chair of the Board of Trustees, also took Mary on a wider tour of the Harewood Estate, bringing the family’s history to life. Follow Harewood on social media to keep up to date with the latest stories and transmission date for the programme. Posted 28 November 2018 at 1.32pm by Lindsey Porter. Filed under: Christmas18, News.